Grab a Cherry Coke Zero and settle down in front of your computer, because The A.V. Club is breaking down last night’s episode of The Young Pope. 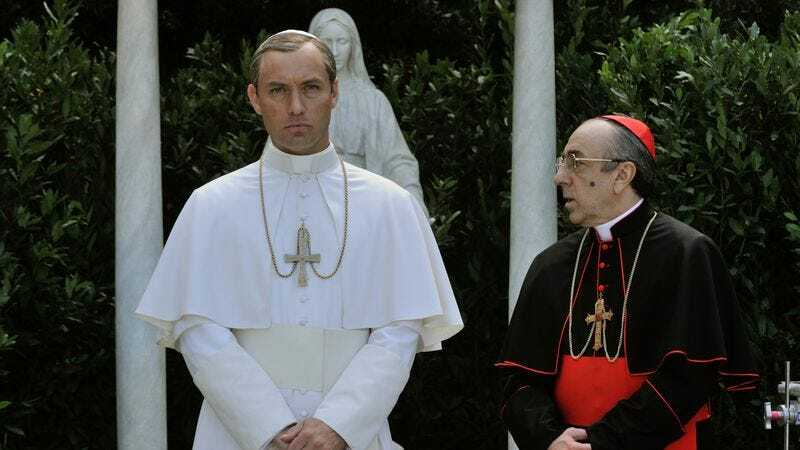 We’ll be wading through all the machinations of Jude Law’s Pius XIII, mulling over Sister Mary’s motivations, and even talking about what is up with that damn kangaroo. We’ll be back again tomorrow to chat through Monday night’s episode, as well. If these do well enough, we’ll continue on throughout the rest of the limited season. Amen.